Justin's Green Astroturf Goniopora stutchburyi is probably the hardiest and fastest growing Goniopora we have. 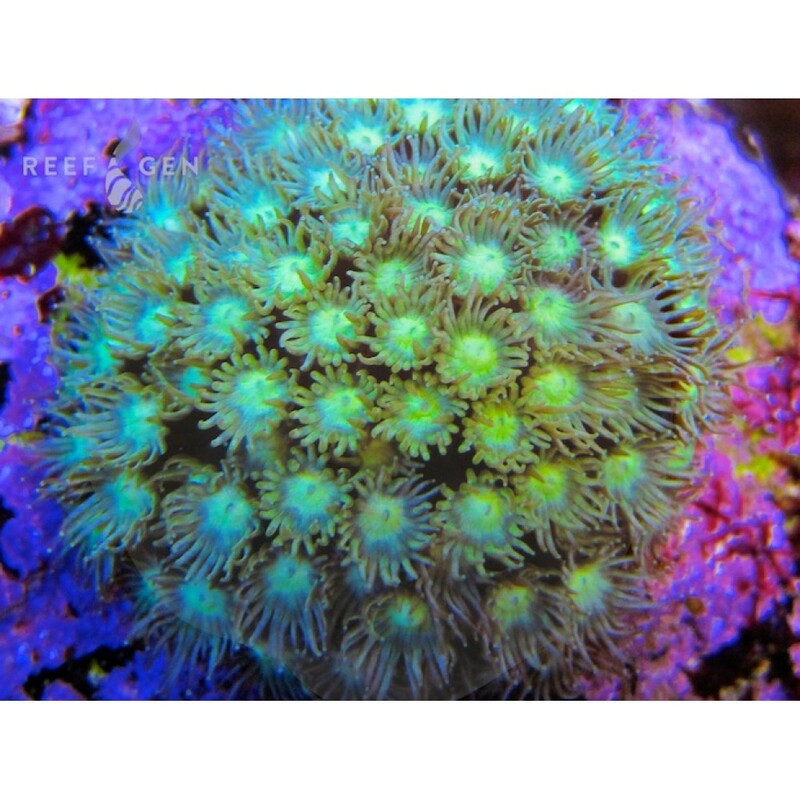 It provides a lush low-lying garden of short green polyps that will encrust over substrate. 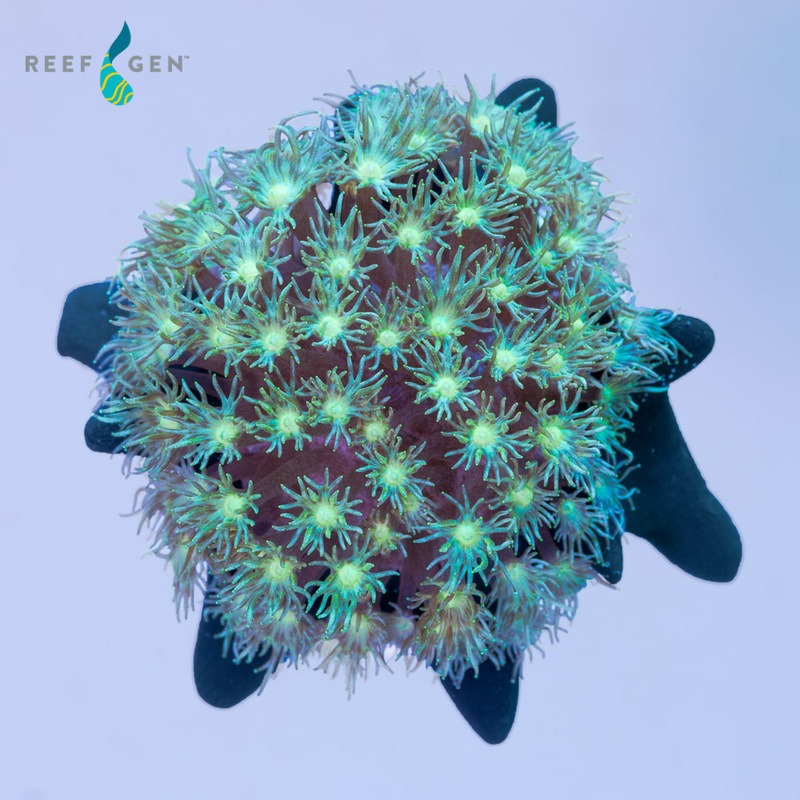 Justin's Green Astroturf Goniopora stutchburyi has been carefully cultured in captivity for many years. It is consequently a very hardy and adaptable Goniopora that will grow and flourish without a doubt. Wild Gonioporas often contain boring nuisance microfauna that weaken it, but our Gonioporas haven't had a scrap of wild tissue in them for many generations.